← Special Offer: 30% off The Mishkan/ Tabernacle DVD! Introducing a new project on the Official ArtScroll Blog: free weekly learning on the week’s parshah and other timely topics. Join us every Tursday on the Official ArtScroll Blog for a free downloadable lesson on the parshah, excerpted from ArtScroll’s extensive library. Presented in a convenient PDF format, you can learn it now on your computer, or print it out to learn on shabbos. 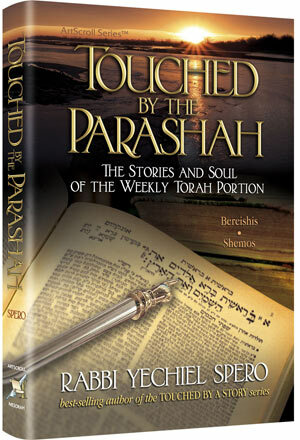 This week’s lesson is excerpted from best-selling author Rabbi Yechiel Spero’s popular Touched by the Parashah. The series is split into Volume I – Bereishis and Shemos, and Volume II – Vayikra, Bamidbar, and Devorim.